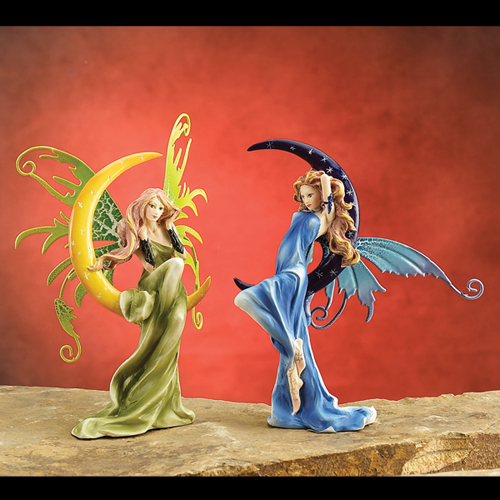 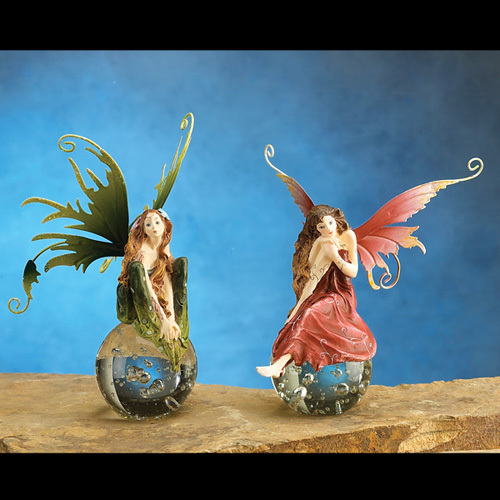 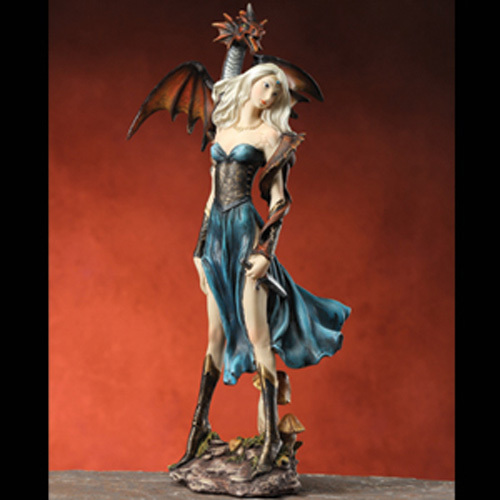 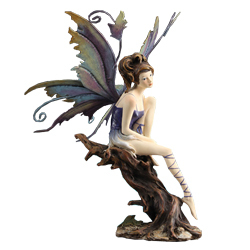 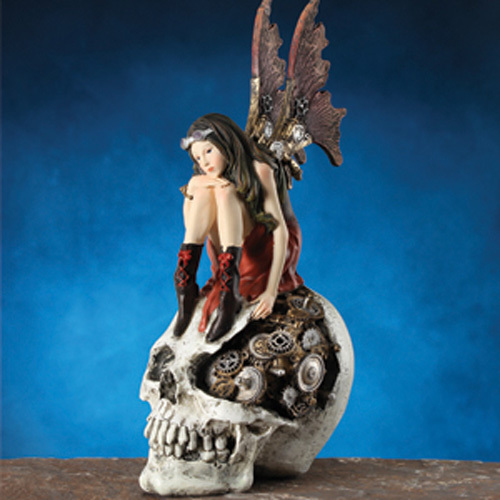 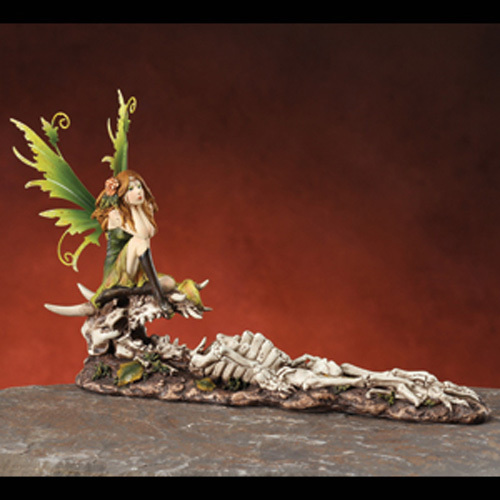 Hand painted resin night fairy with metal wings. 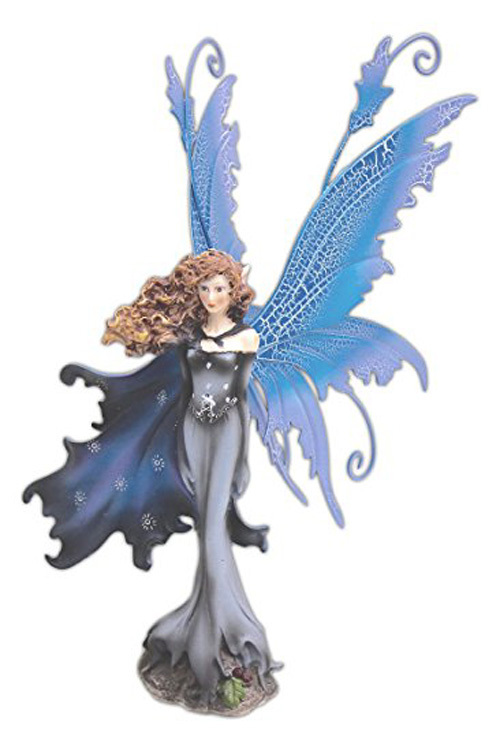 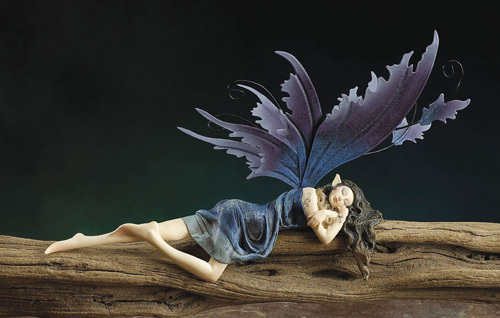 Each pair of fairy wings fits into the back of fairy and are held in place by a small magnet. 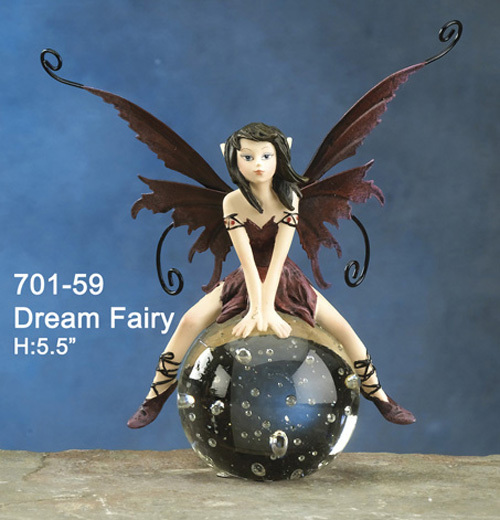 L 6.5" W 5.7" H 13.3"
L 8.75" W 2" H 10"
L 9.5" W 4.5" H 2.5"
L 6.25" W 2.5" H 6"
L 13.8" W 4.3" H 7.5"
L 7.5" W 6" H 12.6"